The Book History Colloquium at Columbia University, open to any discipline, aims to provide a broad outlet for the scholarly discussion of book history, print culture, the book arts, and bibliographical research, and (ideally) the promotion of research and publication in these fields. Our presenters include Columbia faculty members and advanced graduate students, and scholars of national prominence from a range of institutions. All sessions take place 6pm in 523 Butler Library, Columbia Morningside Campus, unless otherwise noted. Jenny Davidson will consider the form and function of the variorum page in Johnson’s Shakespeare editions in the context not just of eighteenth-century scholarly editing but of Scriblerian takes on the edited page. She will look closely at the workings of several specific pages of Johnson’s Shakespeare, but her larger concern is to consider Johnson’s literary career in the light of a late-stage revisiting of the quarrel of ancients and moderns. After telling a sort of prequel story about Swift, Bentley, Theobald and Pope, she will turn to Johnson’s editorial work as an effort of reconciliation and resolution in response to still unresolved tensions between the Scriblerian critical project and the reading techniques of a triumphalist modernity. Johnson’s reclamation of a “conversational” and relatively civil variorum page for what is in some ways a conservative literary project seems to represent a critical turning point in eighteenth-century literary history, and Davidson will conclude by considering analogies between Johnson’s use of the variorum page and the theme of generosity in present-day relationships with the past elsewhere in his writing. Jenny Davidson is a Professor of English and Comparative Literature at Columbia University. 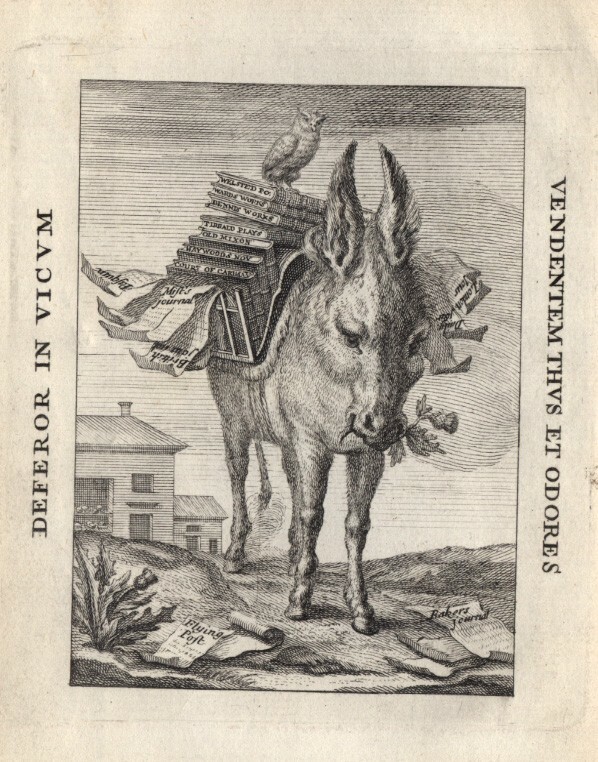 She has published two books about eighteenth-century literature, Hypocrisy and the Politics of Politeness: Manners and Morals from Locke to Austen (Cambridge, 2004) and Breeding: A Partial History of the Eighteenth Century (Columbia, 2009). Her latest book, Reading Style: A Life in Sentences, came out in 2014 from Columbia University Press, and she is working on a new book about reading Clarissa. Additionally she has published four novels: Heredity (2003),The Explosionist (2008), Invisible Things (2010), and The Magic Circle (2013). 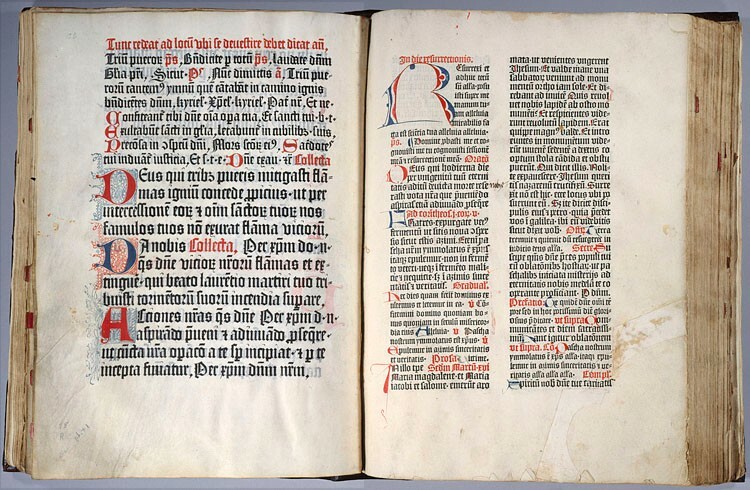 The Canon Missae printed in Mainz by Johann Fust and Peter Schoeffer c. 1458 was the first printed book conceived as an auxiliary portion of another book – namely, any folio format manuscript Missal. Consisting of a single twelve-leaf quire printed on vellum, this most sacred portion of the Mass ceremony was designed to be bound into the middle of its host manuscript, creating what may be called the first “hybrid book.” Born from both the pen and the press, the resulting mixed-heritage Missals were transitional monuments in the history of books that pose several challenges to the dominant narratives that steer the history of the book, which emphasize the functional differences between medieval manuscripts and printed books. This lecture traces the history of the creation, use, and limited survival of the Canon Missae, and reexamines the notion that Europe’s first printers had set out systematically to supersede the old “scribal” culture with a new “typographic” one. 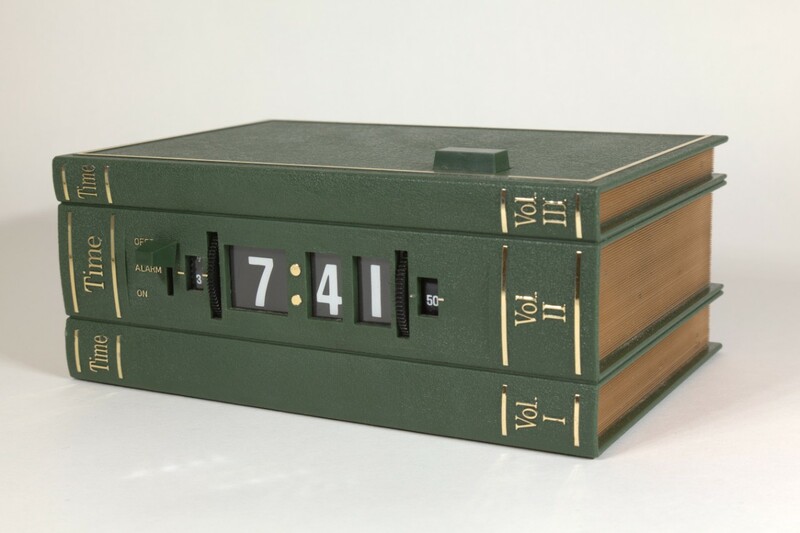 Eric White is the Curator of Rare Books at Princeton University’s Firestone Library. He came to this position in Fall 2015 with 18 years of experience as Curator of Special Collections at Southern Methodist University’s Bridwell Library. His research interests center on the earliest European typography, and he has published articles in this field in Gutenberg-Jahrbuch, The Book Collector, Quaerendo, and the Transactions of the Cambridge Bibliographical Society. He is currently finishing a major book project, Editio princeps: A History of the Gutenberg Bible, which traces the fortunes of all of the surviving copies, with particular emphasis on their rediscovery in monastic contexts during the eighteenth century. Drawing on her recent book, Forget Me Not: The Rise of the British Literary Annual 1823-1835, Katharine D. Harris demonstrates that its form and content render the literary annual a feminized space disruptive to ideals of 18th and early 19th-century femininity. 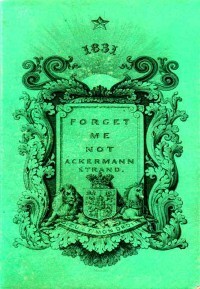 The talk will focus on Rudolph Ackermann, a German publisher, who published literary annuals as diminutive objects meant to fit a lady's hand. He advertised these books as objects that were meant to define, and in essence control, femininity, but then included literature and art that undermined that social control of women. He and his editor, Frederic Shoberl, unintentionally created a publishing venue that celebrated the Poetess Tradition and an alternative form of powerful femininity. Katherine D. Harris (@triproftri), an Associate Professor in the Department of English and Comparative Literature, San José State University, specializes in Romantic-Era and 19th-century British literature, women’s authorship, the literary annual, textuality, editorial theory, and digital humanities. Her work ranges from pedagogical articles and blog posts on using digital tools in the classroom to traditional scholarship on a “popular” literary form in 19th-century England, all of which culminates in her three studies surrounding the literary annuals: Forget Me Not: The Rise of the British Literary Annual 1823-1835 (Ohio UP 2015); The Forgotten Gothic: Short Stories from British Annuals 1823-1831 (Zittaw Press 2012); and The Forget Me Not: A Hypertextual Archive. Book circulation rates for popular fiction in American public libraries have hovered between 65-75% of the total since the nineteenth century. Despite these impressive statistics, however, professional librarianship rarely analyzes the multiple roles popular fiction plays in the everyday lives of millions of Americans who use public libraries. In his presentation, Wiegand will draw from his recently published book Part of Our Lives: A People's History of the American Public Library to focus on the transformative experiences of reading popular fiction that public libraries have routinely provided patrons over the past 150 years. Wayne Wiegand is the author of several books of library history, including Main Street Public Library: Community Places and Reading Spaces in the Rural Heartland, 1876-1956 (University of Iowa Press, 2011), Irrepressible Reformer: A Biography of Melvil Dewey (ALA, 2006) and An “Active Instrument for Propaganda:" The American Public Library During World War I (Greenwood Press, 1984), and editor of many others. Wiegand retired as F. Williams Summers Professor of Library and Information Studies and Professor of American Studies at Florida State University in 2010 after over three decades on the faculties of esteemed library science schools across the United States. 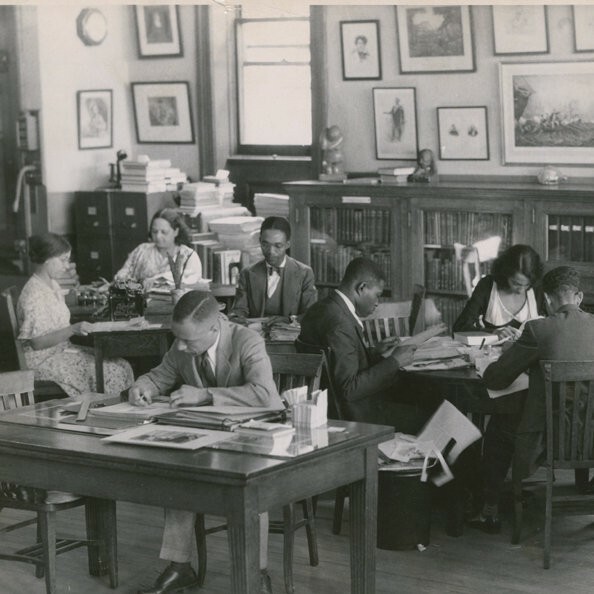 Notably, when he was at the University of Wisconsin at Madison he was founder and Co-Director of the Center for the History of Print Culture in Modern America (a joint program of the University and the Wisconsin Historical Society). Drawing on her 2013 study, Roomscape: Women Readers in the British Museum from George Eliot to Virginia Woolf, Susan David Bernstein will discuss the Reading Room of the British Museum as a space of imaginative potential in relation to the emergence of modern women writers in Victorian and early twentieth-century London. Drawing on archival materials, Bernstein examines the significance of this space and its resources for women—in particular Eleanor Marx, Amy Levy, and Virginia Woolf—who used this space to research and write translations, poetry, and fiction. After a brief overview of Roomscape, her talk turns to the library’s own self-archiving practices and what she calls “catalogical knowledge” drawn from her research of the catalogues, signature books, and reader applications divided between the British Museum and the British Library. 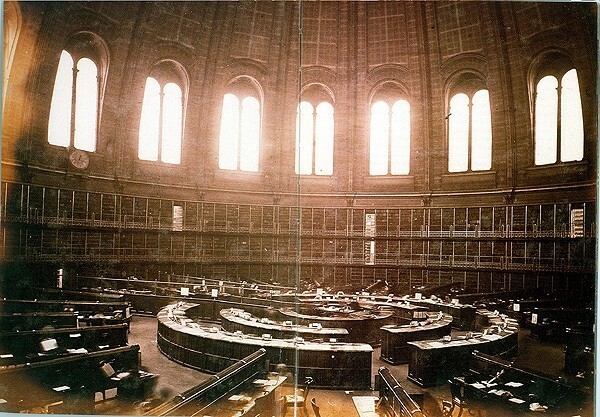 Based on her interactions with British Museum staff over several years, she will describe what she learned about the fate of documents pertaining to the British Museum Reading Room and about the challenges of preserving not only the history of this national library but also the material space of the round reading room since the British Library moved in 1997 from the British Museum site. Susan Bernstein is a Professor of English and Women’s and Gender Studies at the University of Wisconsin at Madison where she teaches Victorian literary studies, gender studies, print culture, the history of the book, and digital humanities. In addition to Roomscape (cloth 2013, paper 2014), she is the author of Confessional Subjects: Revelations of Gender and Power in Victorian Literature and Culture (1997), co-editor of Victorian Vulgarity: Taste in Verbal and Visual Culture (2009), and has edited two novels by late-Victorian writer Amy Levy: Reuben Sachs and The Romance of a Shop. How Radical was Joseph Johnson and Why Does Radicalism Matter? John Bugg is an Associate Professor of English at Fordham University where he teaches British Romanticism, legal and political history, and Romantic-era print culture. He is the author of Five Long Winters: The Trials of British Romanticism (Stanford University Press, 2014), which examines the relations between literary culture and political repression at the end of the eighteenth century. 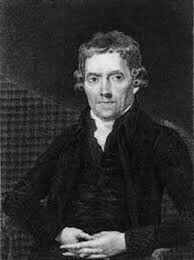 His critical edition of the correspondence of Joseph Johnson will be published by Oxford University Press in 2016.